Hey there! 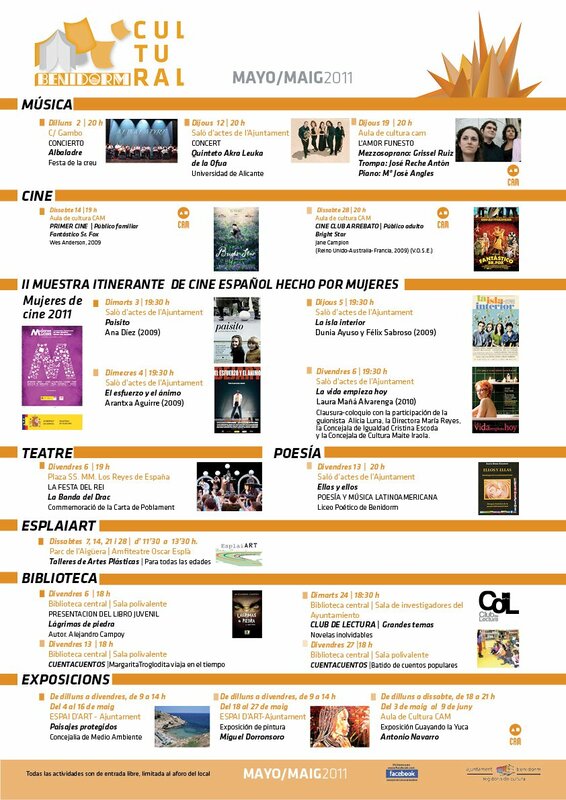 Here is an image with all the events Benidorm has to offer during May. Courtesy of Benidorm Tourist Info. Hope you enjoy it!